With Christmas just around the corner (hello, 53 days and counting!) we all know the infamous Gift Scramble For Someone Who Has Everything that often occurs and I'm sure we all have that certain someone on our list who sends us into that scramble each and every year. I know I do and this year I know exactly what I'll be buying them. Contemporary, sophisticated and elegant, Alphabet Photography is the perfect accent piece for any room in your home. Completely unique and customizable, you can create your own word or name using 1000 photographs from around the world. A "just because" gift for my Dad, there was no question when it came to choosing the perfect word. "LYMTC" now proudly hangs on the wall of his home office and let me tell you, my Dad is totally that guy. He's the guy on my list who has just about everything and he was absolutely speechless when he pulled this incredible piece of artwork from its carefully packaged box. The artwork he received has a solid 4" contemporary wood frame with an espresso finish and although my Dad is a fairly contemporary kind of guy, this artwork would look just as good in any setting be it modern or traditional. Let it be said that I am a sucker for pretty packaging and Alphabet Photography goes above and beyond when tying up their artwork with a pretty bow. Unfortunately, I was so excited to have my Dad tear into his gift that I completely forgot to snap a picture of the wrapping! You can check out Alphabet Photography's fantastic wrap-job here. Matted with a museum quality double mat with a V groove and hand signed and dated by the artist, this piece or artwork is truly one of a kind. I couldn't help but feel a slight twinge of jealousy as I read about how Jennifer Blakeley, the founder of Alphabet Photography, spent most of the years 2006 and 2007 traveling North America collecting photographs that resembled the letters of the English alphabet. To know that every single one of her photographs is taken of objects in their natural surroundings, completely un-Photoshop'ed is absolutely incredible. 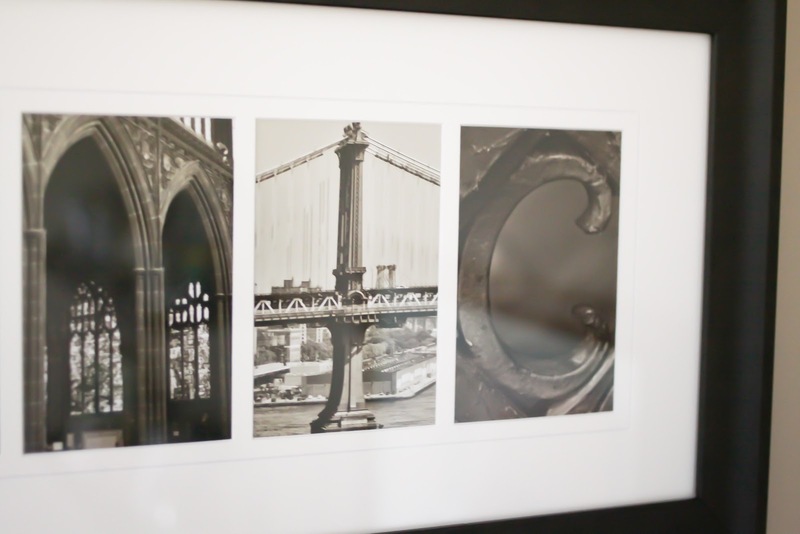 From professional photographs collected from landmarks world wide, to custom framing each and every order, Alphabet Photography is proud to add their quality checked seal of approval to each piece of unique Alphabet Photography. Ordering is super simple and can be done so by visiting Alphabet Photography's website here. Simply enter your chosen word or name and click on each letter to view multiple options in the gallery. 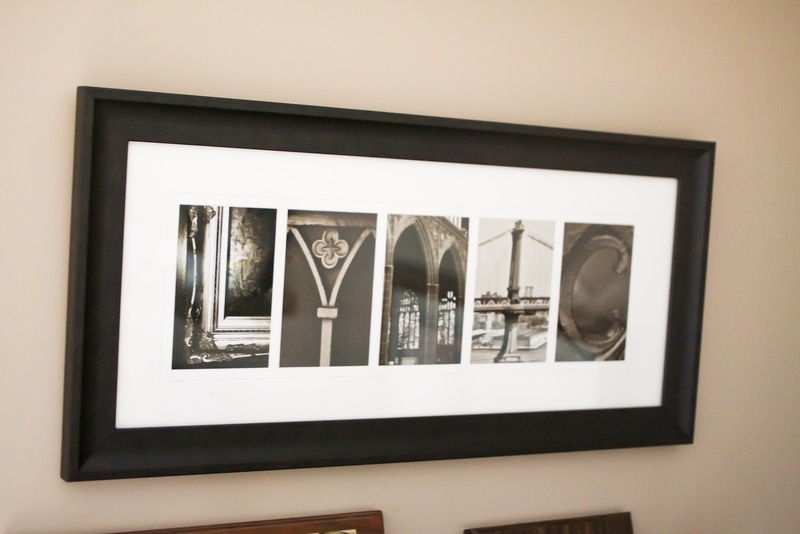 Once you've decided on the unique images that will serve as the letters of your chosen word or name, continue through the website to choose the perfect mat and frame for the recipient of this one of a kind gift. Remember, 53 days and counting! Happy shopping! 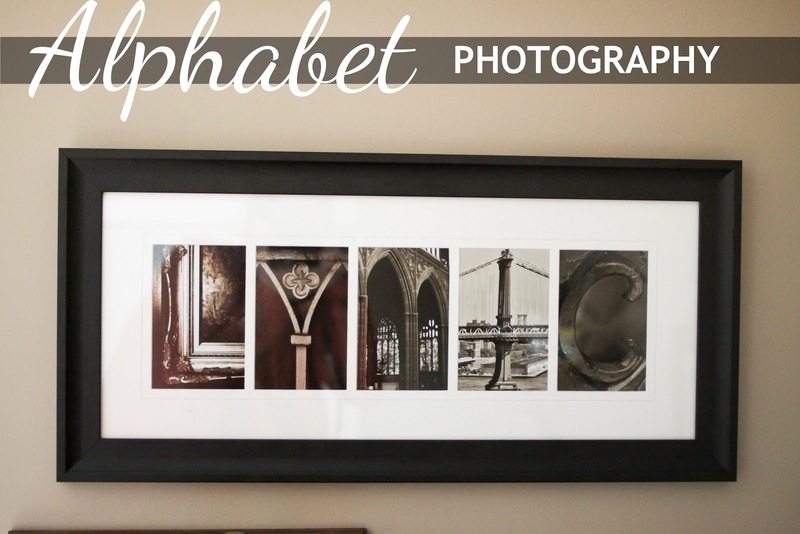 The perfect customized gift that includes photographs from all over the world, this is the original Alphabet Photography. Celebrity owners include: Prince Charles, Prince William and Kate, Tyra Banks, Ryan Seacrest, Canadian Prime Minister Stephen Harper, John Schneider, Nelly Furtado, and many more! This is a sponsored post written by me on behalf of Alphabet Photography. The opinions and text are all mine. I bought one of these for my dad too! Although his was Gator-themed with pictures taken on the UF campus, but a wonderful gift. Glad you're up and running now, AP! I have purchased several of these. LOVE them! That is so so so cute! Love it!! Great gift idea for Christmas. I have looked at them several times, but never gone through with the purchase. Thanks for the review, this may be on the "must buy" list for this year!